A frenectomy is a procedure done to correct tongue and lip tie. A frenectomy is easier (on the kid and the parent) to do when they are a baby as opposed to a 2.5 year old. A frenectomy can be done with a laser which is supposed to reduce pain and healing time. Both a tongue and a lip tie cause problems with nursing. Both a tongue and a lip tie cause problems with speech. 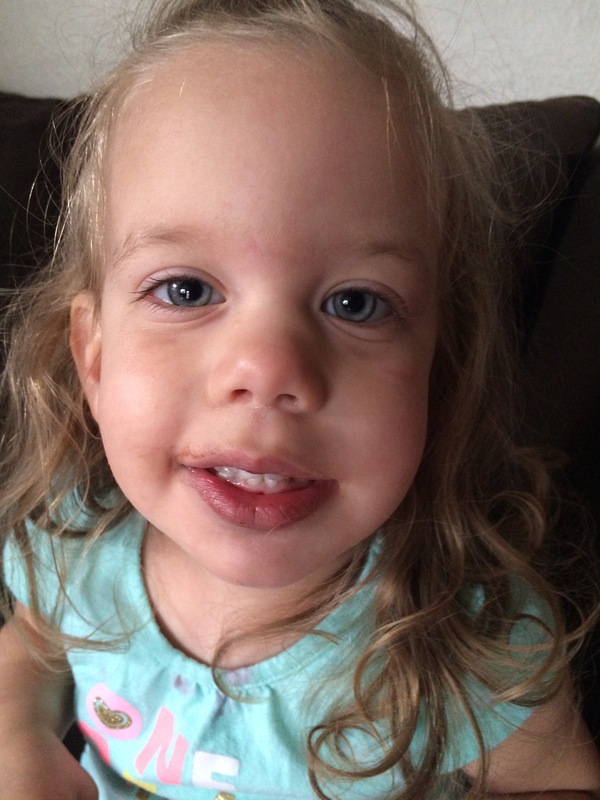 Correcting a tongue and lip tie does not end once the frenectomy is complete. Stretching exercises must be done several times a day for 3-4 weeks after the frenectomy. The stretching exercises are not fun for either the child or the parent. If the stretching exercises are not done the tongue and lip can reattach. 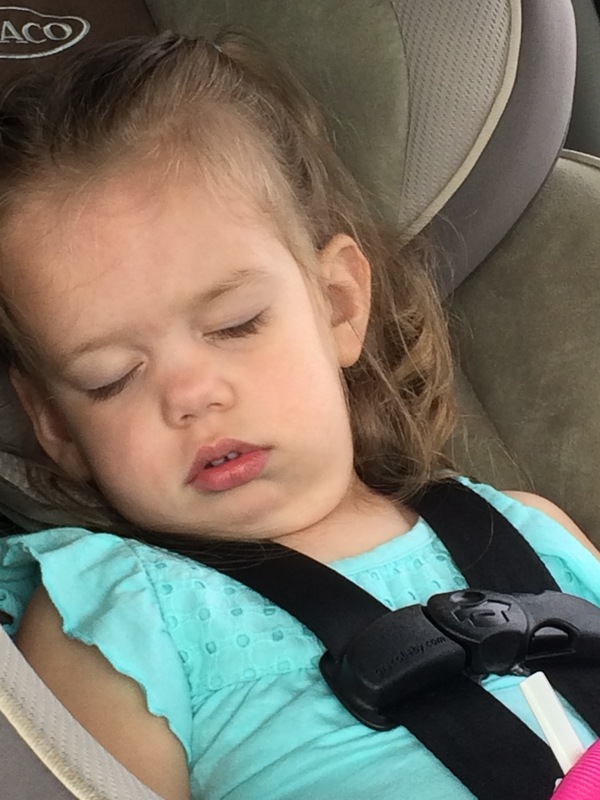 Valium does not always work on a 2.5 year old… even a full dose! So, you might be wondering how I gained all that helpful knowledge about tongue and lip tie. We have been concerned about Katherine’s speech for a couple of months. I had been assuming she wasn’t talking much because she has 4 older siblings who do the talking for her. But, after being around other 2 year olds who were talking up a storm I figured maybe we better get her checked out. I was referred to a specialist named Sandra Coulson. I have 2 dear friends who have used Sandra’s practice for various speech, dental and breathing problems with their children. Sandra has a different protocol when it comes to correcting speech issues but after much prayer and research we decided to take Katherine to see her. As many of you know, Katherine is shy and doesn’t really warm up to new people so I figured this visit was probably not going to be very pleasant for anyone! Yes, Katherine was shy but by the end of the hour she let Sandra put her fingers in her mouth, do measurements and mouth exercises. After examining her mouth, Sandra discovered that Katherine had a tongue tie and quite possibly a lip tie. She referred me to a dentist who specializes in correcting this condition. We headed to the dentist Wednesday afternoon in hopes of getting it taken care of that day with a little laughing gas. Well, Katherine would have none of that! Dr. Witkoff suggested a prescription for Valium to give her the night before and the morning of her procedure which was scheduled for Thursday morning. I gave her 1/2 a dose of Valium before bedtime Wednesday night and a full dose an hour before the procedure Thursday morning. Let’s just say that, apparently, Valium doesn’t work on everyone! I figured my little 31 pound 2.5 year old would be completely loopy and relaxed for the procedure… NOPE! She was still raring to go when we got there at 11am. After trying to convince Katherine to put on the elephant mask to breath in the laughing gas it came down to holding her down to get the mask on her and about 12 minutes of her screaming at the top of her lungs. Finally the laughing gas kicked in and she just sobbed for the last 15 seconds. The procedure itself is fairly quick – 3-5 minutes. Now, we are just working on the stretching exercises to avoid reattachment. We will be heading back to Sandra’s office next week to continue with her program. 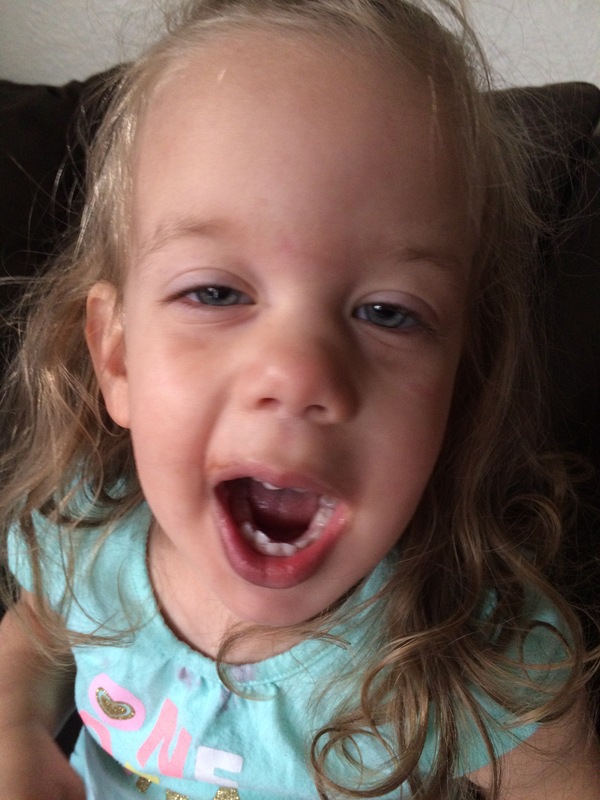 So, there you have it… what I have learned about tongue/lip tie and frenectomy in the last 5 days. The 3 pictures below were taken after the procedure. Now she looks a little loopy! After her Frenectomy and popsicle treat.